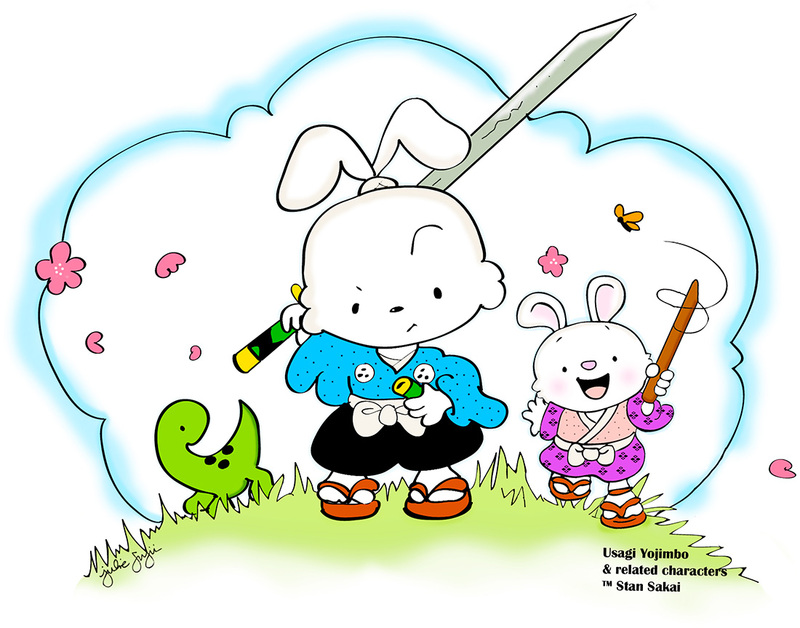 Usagi Yojimbo has been published since 1984 and has won numerous awards, been featured on tv/crossovers with the Teenage Mutant Ninja Turtles, and is published in 14 different languages! Usagi has been included in the top 100 comic book characters of ALL TIME. Please check it out! Chibi Usagi came about when Julie Fujii-Sakai created a t-shirt for Stan’s Granddaughter Catherine. Stan loved the design so much he allowed us to create a t-shirt for it! There are some exciting upcoming projects for Chibi Usagi including a Chibi Jei t-shirt.